HERE is all the supporting information, in the yellow highlight right below, click on to download all of the data and calculations, which prove beyond a shadow of a doubt that at least Tens of Tons of Poisonous Heavy Metals were launched into the atmosphere, aerosolized well enough to travel all the way to Europe. See the video of Unit 3 exploding over 1000 feet in the air. Very dramatic. There is no Reactor 3 left, only a few scattered pieces of yellow metal in the rubble. My maximum estimate is 195 TONS of Uranium based on an affected column of air 8 miles high, and the reality is that the actual TONNAGE LAUNCHED may certainly be less based on assumptions made, but the bottom line is that a huge amount of Uranium and Plutonium was exploded and aerosolized. The quantity of tons aerosolized can be estimated by using official Government data, in particular Exhibit F-1 which is a 4/6/2011 publication of the EPA Radnet. Keep in mind Uranium and Plutonium are heavy metals. The air densities are higher in Guam and Saipan which are closer, still quite high in Hawaii, and they fall off quite a bit in California and Washington. But this is April 6th, so these heavy metals have been floating for quite some time anyway. 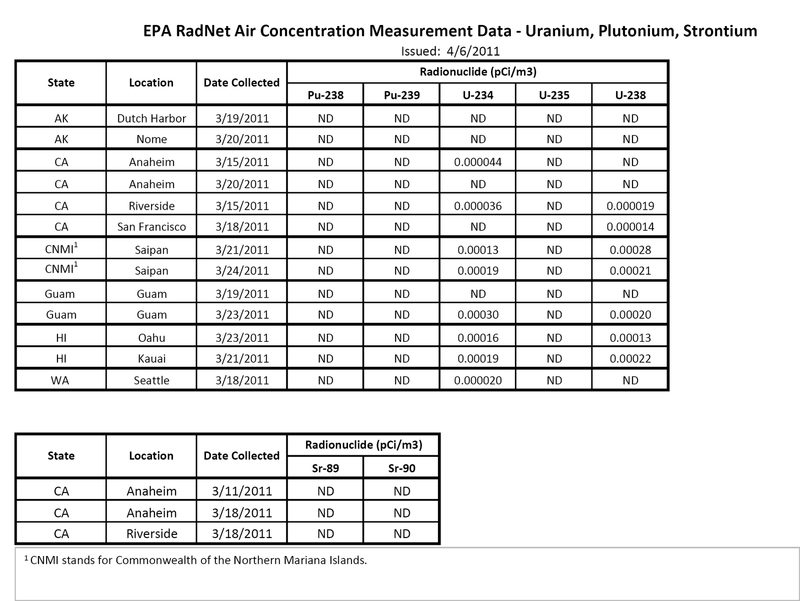 UPDATE: I found the RADNET link direct, the proof of all that uranium in the air. 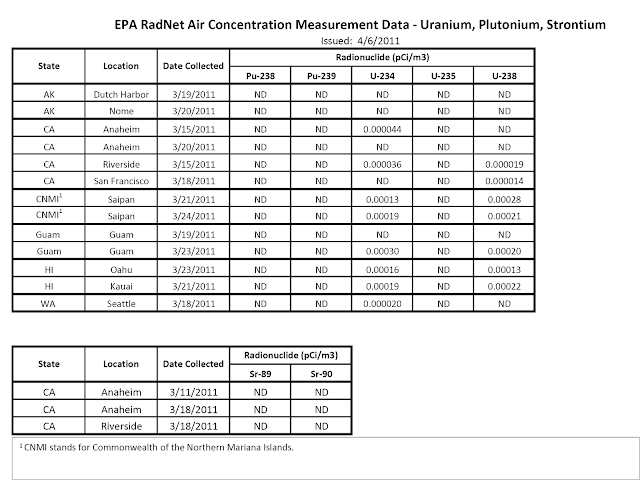 The “Background” amount of Uranium in Air in Honolulu is around 5 aCi/M3, thus making the measured Uranium 2600% higher than Background .See Table 9 from the EPA for this proof of background data. Under the Conservative Estimate, and using .89% Plutonium per Table 1, this would be 433 pounds of Plutonium aerosolized. But keep in mind the MOX fuel is souped up with Plutonium which could be more like 9% to 10% of the fuel rods, so it is possible that TONS of Plutonium was launched into our HOME PLANET atmosphere. This Scientific Report Shows Plutonium from Fukushima AEROSOLIZED all the way to Europe. I think we all got more than that after Fuku if in USA, it is a toxic radioactive heavy metal, but I have never seen much data on actual mortality rates, maybe one test on beagels.